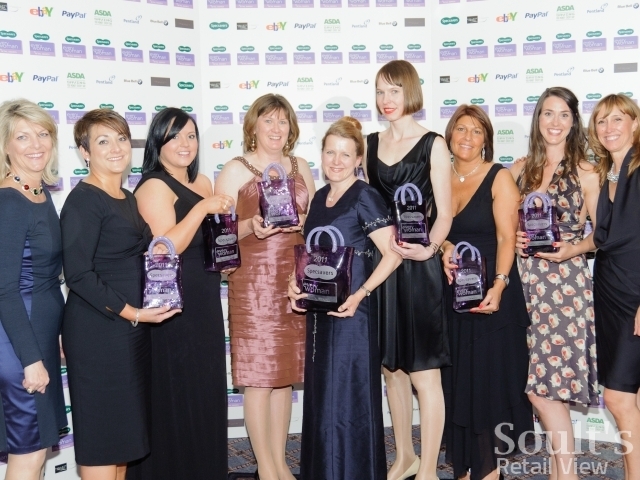 Having recently judged some retail awards myself – albeit in Stockton, rather than on the national stage – I was interested to receive details of the 2012 Specsavers Everywoman in Retail Awards. Now in their fifth year, the awards aim to “recognise the achievements of women in the retail sector”, and are organised by Everywoman, the independent membership network for women in business (which insists on niggling the copywriter in me by spelling its name with a lower-case ‘e’). The wider intention is that “by highlighting inspirational female role models who are excelling, the awards aim to demonstrate to other talented individuals the exceptional opportunities offered by a career in retail”. With that in mind, it’s fitting that the awards are sponsored by Specsavers, whose founder, Dame Mary Perkins, is one of the retail sector’s highest-profile female figures. The press release quotes Dame Mary as saying that “there are some excellent opportunities for women in the retail industry, although there are not as many women in senior positions as there should be” – and she has a point. Last June, the respected Retail Week Power List featured just 12 women in the top 100, of which only two – Burberry’s Angela Ahrendts and WHSmith’s Kate Swann – were ranked in the top 30 of the UK retail sector’s movers and shakers. Whatever the reasons for this might be, the lack of top female executives in retail is a difficult anomoly to ignore – particularly in an industry where, Everywoman claims, 60% of employees are women. As a rule, I’m slightly uneasy about any organisation or event that embraces one group of people at the exclusion of another. There’s also a tendency for PR people to come up with quotes such as “at Specsavers, many of our stores are owned by female opticians who recognise the importance of excellent customer service and high retail standards” – as if excellent service and high standards were not the goal of any good store manager, irrespective of their gender. Those quibbles aside, however, I’m a strong believer that awards are a great platform for those whose achievements are recognised: a way both of raising their own profile, and, hopefully, inspiring others. If the Specsavers Everywoman in Retail Awards help to achieve that – and play even a small part in “encouraging a pipeline of future talent into the industry” – I’m pleased to embrace them in that spirit of celebration. The awards are open for entry until 14 May 2012, and the winners will be announced at a glittering ceremony at The Savoy on 13 September 2012. 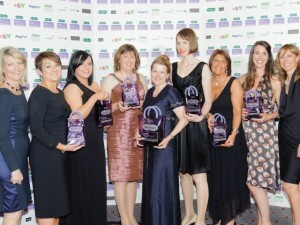 For further information visit www.everywoman.com/retailawards. Star of the Future Award – in a business with a turnover under £200 million, this award will go to the woman aged under 30, whose energy, ambition and generosity of spirit represents the positive future of the retail industry. She will be the one to watch. Star of the Future Award – in a business with a turnover over £200 million, this award will go to the woman aged under 30, whose energy, ambition and generosity of spirit represents the positive future of the retail industry. She will be the one to watch. Leader of the Year Award – in a business with a turnover under £200 million, this category is open to all female team, department and business leaders working in retail. This category reaches across all job functions and nominees could be team / project leaders, managers, department heads or directors within the business. Leader of the Year Award – in a business with a turnover over £200 million, this category is open to all female team, department and business leaders working in retail. This category reaches across all job functions and nominees could be team/project leaders, managers, department heads or directors within the business. Innovator of the Year Award – This award will go to the woman, at any level in the organisation, who has made an innovative contribution that has transformed the business and/or the retail industry. Entrepreneur of the Year Award – This award will go to the founder/operator of a retail business, with a turnover under £25 million, whose entrepreneurial talent and vision will inspire others to start their own venture. Online Retailer of the Year Award – This award will go to the woman whose talents and contribution are directly resulting in the success of an online retail business. This category reaches across all job functions. Champion Award – This award will go to the individual or company that is demonstrating a strong commitment to the advancement of women in their organisation and/or in retail industry. Woman of the Year Award – This award will be selected by the judges from the finalists of the seven categories listed above and will go to one exceptional woman whose vision, innovative approach and success make her an outstanding role model that will inspire more women to choose a career in retail.